Welcome to week three of the blog tour for Sally Green’s The Smoke Thieves. I am a huge fan of epic fantasy novels and this one sounds amazing! Read on for more about the book and my top 5 medieval fantasy novels. The start to an epic medieval fantasy trilogy, perfect for young Game of Thrones fans. A shrewd princess whose father is plotting against her. A loyal servant on a quest to avenge his family. A streetwise demon smoke hunter in desperate need of money. A charming thief whom everyone is hunting. They are four teenagers whose lives would never intersect, until a war between kingdoms bubbles up, and the dangerous truth about demon smoke intertwines all their fates. It’s a tangled web of political intrigue, shifting alliances, and forbidden love, in a world where sometimes no amount of magic can keep you safe. I love epic fantasy of all kinds. However, medieval fantasies were my first introduction to fantasy in general, so they have a special place in my heart. I think it all started with The Princess Bride! From there we studied King Arthur in sixth grade and I fell in love. In college I first read Lord of The Rings and my love grew from there! Narrowing it down to five favorites was so hard! Here they are in no particular order. Alanna: The First Adventure by Tamora Pierce: I could have listed any of her books here! I adore them so, so, so much. The Song of the Lioness quartet were the first books of her’s that I read. I devoured everything that she had out at the time in about a month. I. Could. Not. Stop. Finnikin of the Rock by Melina Marchetta: This series is a MUST READ! I mean, all of Marchetta’s books are but her fantasy? Out of this world. I adore everything about it. But I am greedy and want more. SO MUCH MORE. The Demon King by Cinda Williams Chima: Oh man. The Seven Realms series. I cannot even with this. Han forever! I recommend this one to students all the time and have never had a student not devour it. Incredible. Graceling by Kristen Cashore: I remember ordering this one for my school library and deciding to read it before I put it on the shelves. I immediately went and bought myself a personal copy because I knew I would read it over and over. Katsa was a character I needed to meet. So those are my top five! But also Scarlet, and Crown Duel, and The Thief, and The Naming, and The False Prince, and The Ruins of Gorlan, and SO MANY MORE! There are so, so, so many great medieval fantasy stories out there! 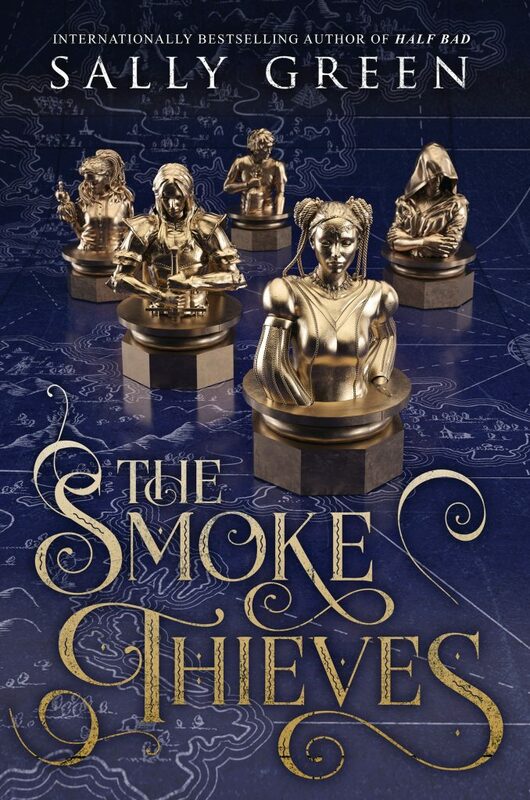 So glad to add The Smoke Thieves to the ever growing list. So,let me know… what are your favorites? Sally Green lives in northwest England. She has had various jobs and even a profession, but in 2010 she discovered a love of writing and now just can’t stop. She used to keep chickens, makes decent jam, doesn’t mind ironing, loves to walk in Wales even when it’s raining, and will probably never jog again. She really ought to drink less coffee. 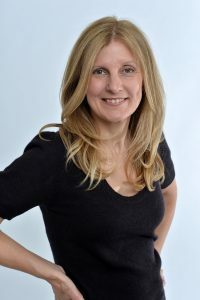 She is the author of the Half Bad trilogy. Follow her @Sa11eGreen.